Apple today introduced iPhone 5c, which will be available in five bright colors – blue, green, pink, yellow and white. 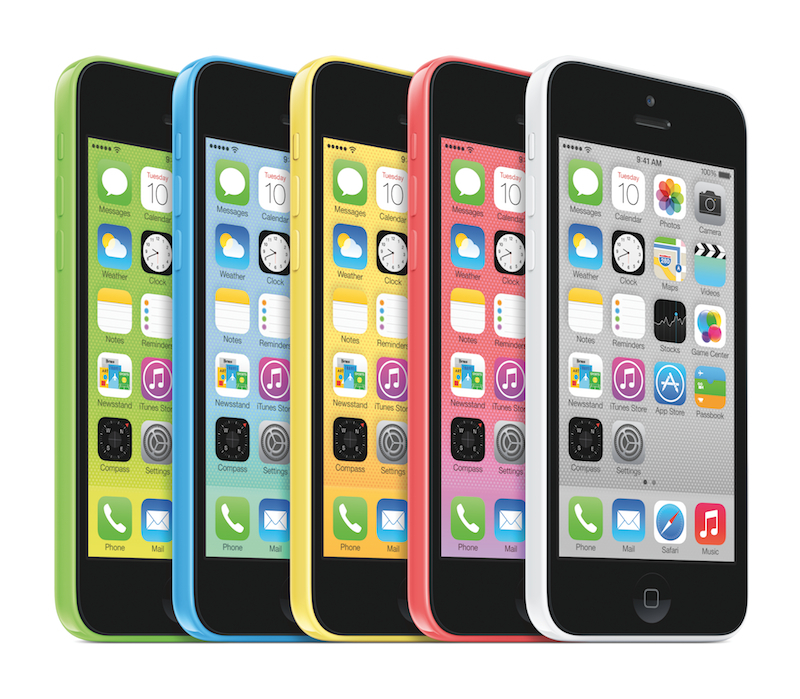 Hardware-wise iPhone 5c is just like iPhone 5 featuring 4-inch Retina display, A6 processor and 8-megapixel iSight camera. However, it does add few new things like more LTE bands for faster network speed, FaceTime HD camera and iOS 7.